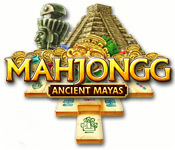 Mahjongg: Ancient Mayas is rated 4.5 out of 5 by 4. Rated 5 out of 5 by MEnr56 from TIMED BUT WAS AN EASY GAME I normally don't buy timed games but did take a look at this one and discovered that IF you play the CLASSIC version and though there IS a timer -- it's NOT AGAINST THE PLAYER; it's just telling you how long it took you to play the game. However, I DID play the timed version and I was rolling along very easily from one level to the next; the last level -- Level 15 -- I DID have to repeat 3x but it still was pretty easy. Sadly, in the Adventure mode, there's ONLY 15 levels so it'll make for a rather short game. The music is AWESOME -- very upbeat. 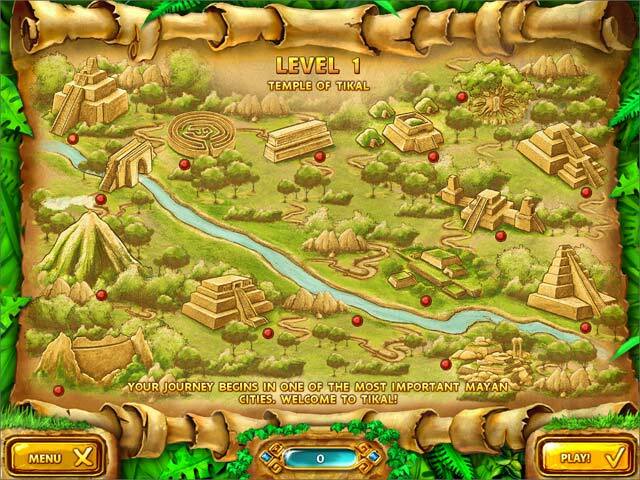 Rated 5 out of 5 by ldzach02 from love it Very good game. Love the layouts & hardness of game. 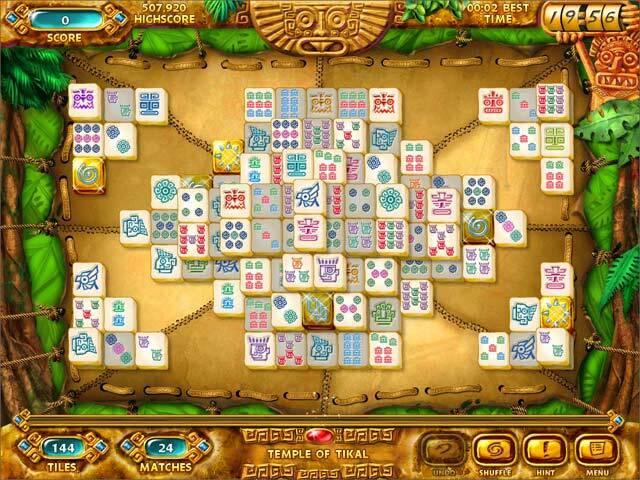 Rated 5 out of 5 by malkire from very good I really enjoy different kings of mahjongg. 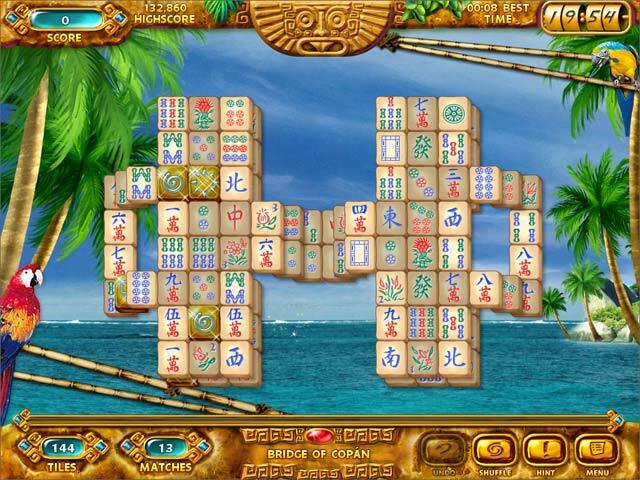 Rated 3 out of 5 by mrm2006 from Great Challenge .... but beware of background music. I'm going to bring this up straight away. The background music changes with the background that you choose to play with. The initial background that comes up (if you don't change it) had a lot of what I'm assuming was a good try at tribal music, drums, wild animals, unintelligible chanting and then ................ it truly sounded as though someone were being whipped. I almost turned the game off then. This is a great game with a lot of challenge. At one point, I had to shuffle about 7 times before i got any more pairs. You can change your tile settings (and you earn unlocked tile sets as you play) as well as your background setting. To do this (because it took a bit to figure it out once I was in game play), click on "menu", "settings" and at the very, very top of that screen are 3 tabs - "general", "tiles" and "backgrounds". Make your choices and click the "check" mark. I played the "adventure' mode because it usually has a good story line - not so here. I would recommend just playing "classic". I don't want to play a game where I have to beware of what the background music or sound effects are going to sound like so this isn't a purchase for me. But, if you would like a extremely challenging game, try it.